I helped this young family to create some interest with plants in their garden and soften the edges of their patio. 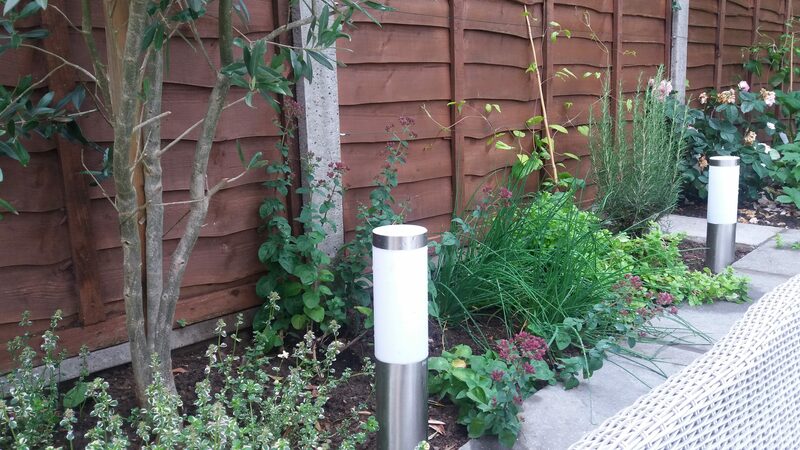 Having just extended their patio to create a more useable space, they wanted to add some colour to their garden. 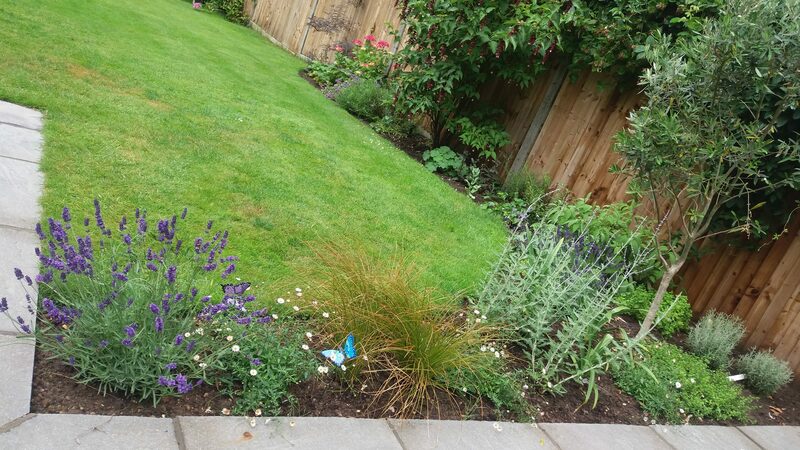 We decided to create 2 curved borders to create a space for planting and a herb bed right next to the patio. 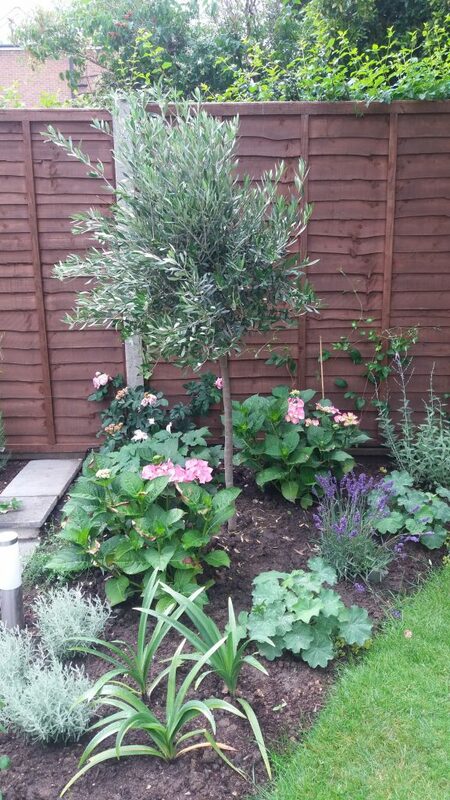 Their sandy soil was perfect for the mediteranean feel they wanted to develop and I sourced a standard Olive Tree to integrate the new beds with 2 existing trees they had. 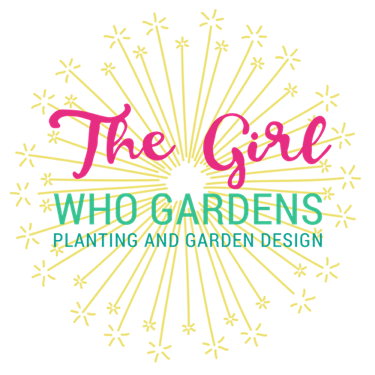 We underplanted these with a mixture of shrubs, grasses and perennials and planted climbers to cover the fences and bring vertical interest. I worked with the Husband of the house to layout the plants and to move some exisiting shrubs. I also sourced some climbers for the rest of the garden to cover the boundary fences.